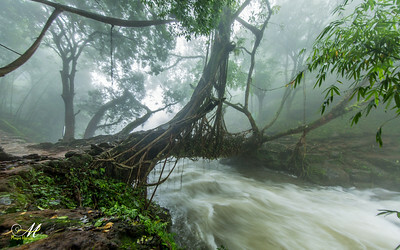 The pliable tree roots are made to grow through betel tree trunks which have been placed across rivers and streams until the figs' roots attach themselves to the other side. Sticks, stones, and other objects are used to stabilize the growing bridge This process can take up to 15 years to complete.The useful lifespan of any given living root bridge is variable, but it is thought that, under ideal conditions, they can in principle last for many hundreds of years. As long as the tree they are formed from remains healthy, they naturally self-renew and self-strengthen as their component roots grow thicker. 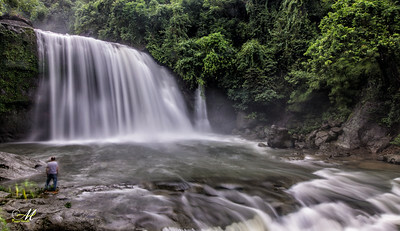 ON the way Mawlynnong to Dawki through a border road heavily guarded by BSF personnel, Wah Krip Falls - Riat ka Re, Umkrem, is serene, beautiful and pristine. You will automatically pull over when you see this beauty of a fall to take a photo and admire nature at her best. 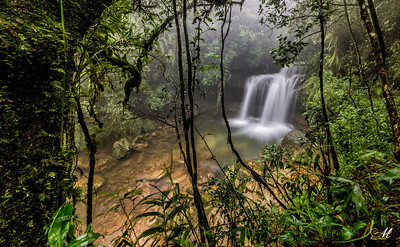 The Riwai- Dawki Boarder road is a beautiful experience for explorers. 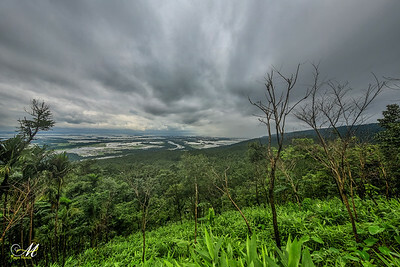 through out the route, we can witness the rainy hills of Meghalaya- India on one side and the plains of Bangladesh on the other side. its a special experience for us travel between two countries with out any fear because of the BSF military force is friendly. 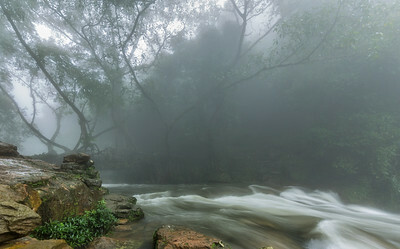 The heavy flow river in Nohwet village. 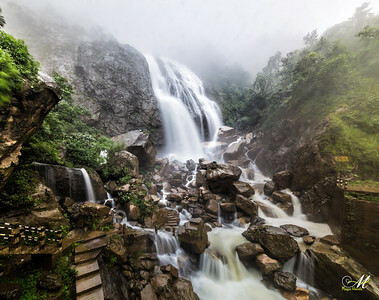 this view is visible only after the heavy rain fall. 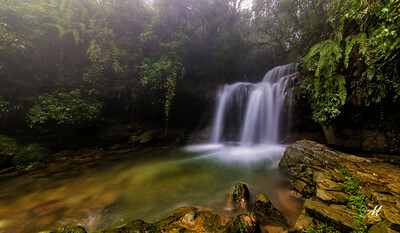 Can reach this place from Riwai village Meghalaya. the background is the famous Living Root Bridge. 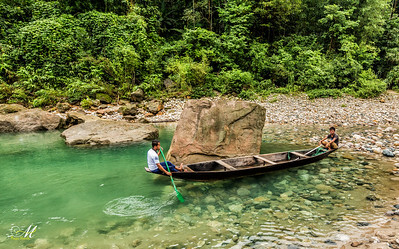 Umngot river is the main attraction in West Jaintia Hills district, Dawki- Meghalaya, India. The water will be crystal clear in a pleasant non rainy day. 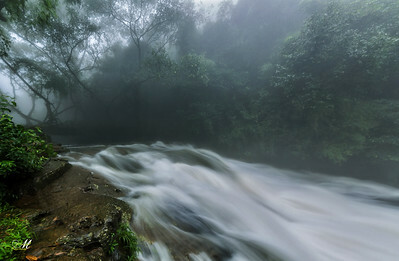 An overflowed Rainwater river stream in Tyrna village next to long root bridge, Meghalaya India. 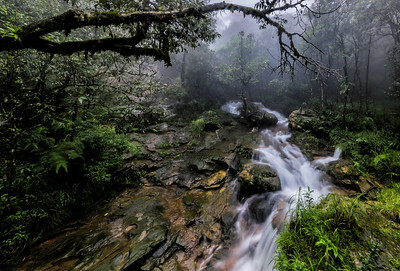 This is in the village of Laitmawsiang and is also called Ka Bri Synrang. 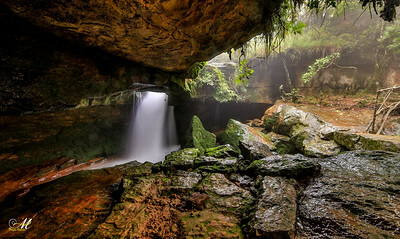 Small little caves spreading across a vast area almost like labyrinths and mazes. About 12-13 waterfalls inside them. 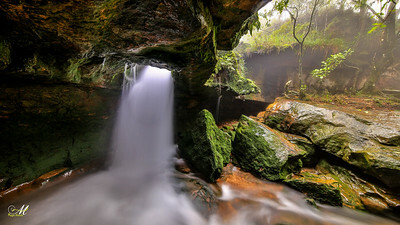 Some which can be experienced from inside the caves. 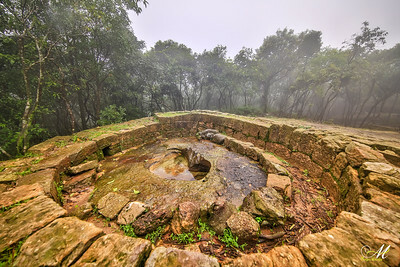 In ancient days, Khasi Kings would hide from the British soldiers when they are being chased. 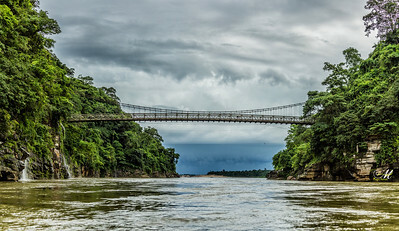 a monsoon frame from the historic living root bridge, meghalaya- India. 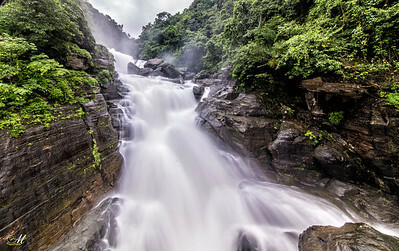 Borhill Falls is one of the best waterfalls on India-Bangladesh border while driving from Mawlynnong Village to Dawki. 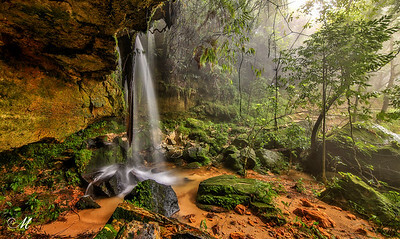 This waterfall will be in full force in July to august while on the heavy rain season. It is difficult to go near the water but from the bridge you can have great view. 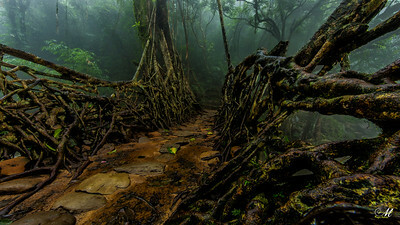 Living root bridges are a form of tree shaping common in the southern part of the Northeast Indian state of Meghalaya. They are handmade from the aerial roots of Rubber Trees ( Ficus elastica] ) by the Khasi and Jaintia peoples of the mountainous terrain along the southern part of the Shillong Plateau. 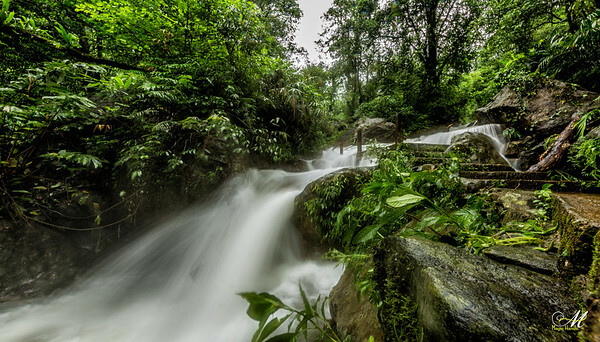 The pliable tree roots are made to grow through betel tree trunks which have been placed across rivers and streams until the figs' roots attach themselves to the other side. Sticks, stones, and other objects are used to stabilize the growing bridge This process can take up to 15 years to complete. The useful lifespan of any given living root bridge is variable, but it is thought that, under ideal conditions, they can in principle last for many hundreds of years. As long as the tree they are formed from remains healthy, they naturally self-renew and self-strengthen as their component roots grow thicker.